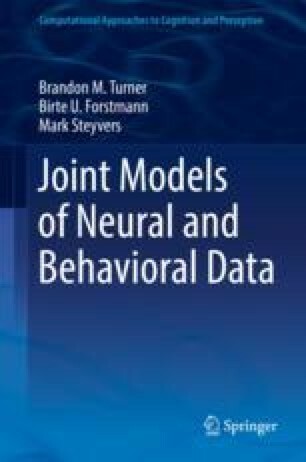 In this chapter we highlight four applications of joint modeling to various contexts where the integration of neural and behavioral data proved useful in unveiling the underlying cognitive dynamics that were not apparent with behavioral data alone. In the first application, we discuss how structural information in the form of diffusion weighted imaging (DWI) can be used to better constrain a model of evidence accumulation fit to data from a perceptual decision making task with a speed accuracy manipulation. Second, we discuss a recent extension of this approach to functional imaging data obtained using magnetic resonance imaging (fMRI) on a trial-by-trial level. In particular, we discuss how pre-stimulus information can be used to enhance predictions about the speed and accuracy of decision making processes once the stimulus is presented. Third, we discuss how the joint modeling approach can be used to exploit the temporal resolution provided by electroencephalography (EEG) and the spatial resolution provided by fMRI to better constrain a cognitive model. We show that while these two measures provide similar information about the decision making process, the information is not identical within a subject, and as a result, having more neural covariates can enhance model predictions for withheld data. Finally, we discuss how joint modeling can be applied to single-unit recording data from monkeys, highlighting that our approach is not modality specific.